This is the eighth installment in a series of posts on California's climate leadership. These posts address a wide range of related topics including economic benefits and renewable energy. With unprecedented bipartisan support, California lawmakers have voted to extend the state's cap-and-trade program. This carbon pricing program is key to meeting California's ambitious carbon reduction targets. The plan puts a statewide cap on greenhouse gas emissions and allows companies to buy and sell pollution credits. 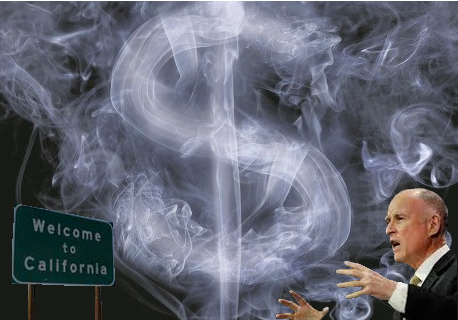 The Golden State has been a cap-and-trade leader for years and it has a current market value of $8 billion. Negotiations are ongoing to include Mexico in the joint market. Two Canadian provinces are part of California's carbon pricing scheme. Quebec is already part of the deal and Ontario is linking with the market this year. B.C. already has a successful carbon pricing plan and even the oil producing province of Alberta has signed on to a carbon pricing initiative. The Regional Greenhouse Gas Initiative, (RGGI) is composed of nine north east states (Connecticut, Delaware, Maine, Maryland, Massachusetts, New Hampshire, New York, Rhode Island, and Vermont). The agreement caps and reduce CO2 emissions from fossil-fuel power plants that generate 25MW of power or more. California has passed a raft of increasingly stringent emissions reduction legislation. Although detractors have tried to suggest the state's cap-and-trade program is in serious trouble, the evidence shows that California's carbon trading scheme is a success story. As reported by Greenbiz, the most recent data (July 2017) indicates that California is only 3 percent away from its 2020 goal of reducing emissions to 1990 levels as required by AB 32. The article also makes the point that these reductions have been, "easier and cheaper than expected." What is even more striking is that these emissions reductions have occurred alongside laudable economic growth. This is further evidence of the decoupling emissions and growth. At the 13 previous California Air Resources Board’s (CARB) auctions, allowances have sold out at or above the floor price. However, at the last two auctions, demand was not strong enough for CARB to sell allowances at the price floor ($12.73 per ton). This is because companies are not buying permits. Companies are not buying permits because they do not have to. As explained in the Greenbiz article, "they already held enough to account for their current emissions, or they expect to be able to make emission reduction for less than the cost of an additional permit." Contrary to the assertion of detractors this does not prove that the scheme is failing, it may however suggest that California's climate and energy policies (ie performance standards) are working. Despite some legal risks associated with court challenges the future of carbon trading looks bright in California. Gov. Brown has vowed to extend the program beyond 2020 and CARB has released a proposal extending the program to 2050. CARB’s new proposed regulation offers a stronger mechanism to correct for situations where supply exceeds demand. It does this by diverting unsold allowances to a reserve which provides downward pressure on allowances prices should cost pressures begin to emerge. As reviewed in the Greenbiz article, "CARB’s cap-and-trade design has been fundamentally sound from the start, and only continues improving." For more information on California's cap-and-trade plan click here.